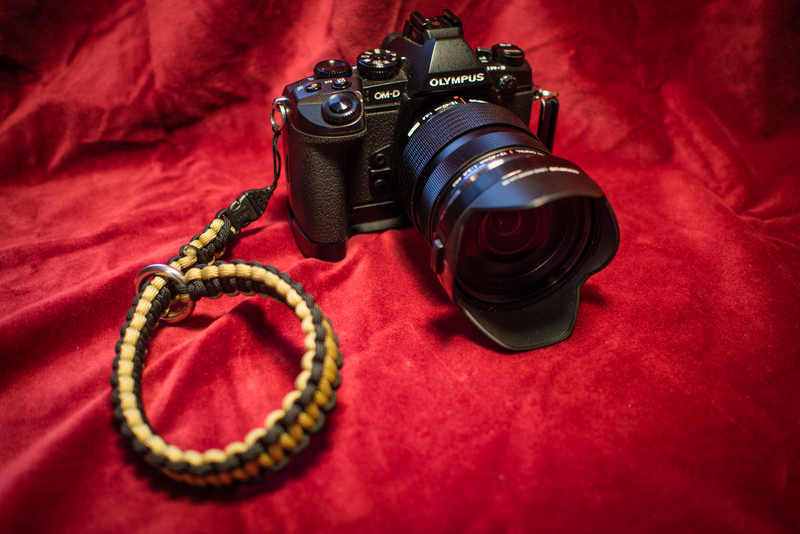 My friend, Chris Nitz has been taking the photography industry by storm with his eponymous Nitz Camera Straps. I mean, like, all of the cool kids own one. If not two or three! Seriously, though, Chris makes a great, hand crafted straps, but is constantly looking to make improvements and increase his product line. And that is why I agreed to test drive the latest addition to his suite of camera connectors — a simple snap-buckle with a nylon cord connecting it to the camera. Keep in mind, this is a beta report, not a review. I’m providing feedback on this configuration to help Chris determine if it is worth offering to his customers. And my conclusion is ‘ABSOLUTELY YES.’ But with some limitations. The connector is very small. When the ends are connected, the unit is about an inch and a half long and about a half inch wide. 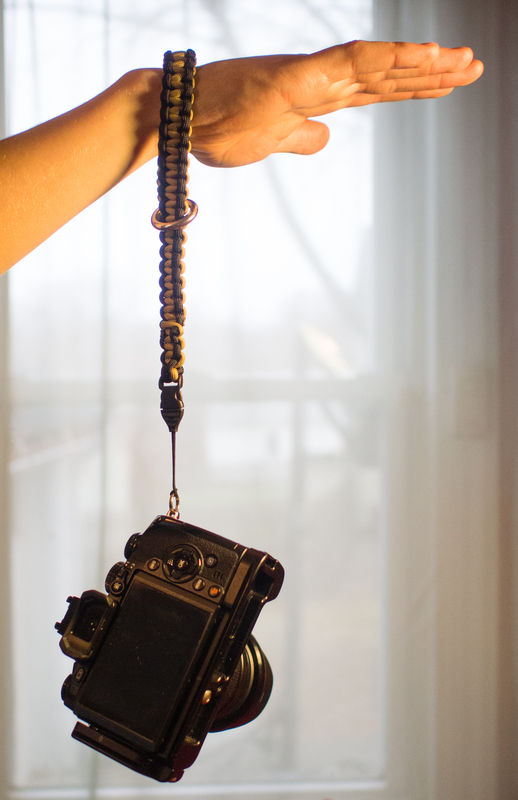 The nylon cord that connects to your camera is a little over an inch long. The buckle connects securely and the nylon is certainly strong enough to hold up to 25lbs (as claimed by the manufacturer and verified by Chris). I would not hesitate to use this on my Olympus OM-D E-M5 (where this one will ultimately live) or my E-M1 with up to the 12-40mm Pro lens. But any lens larger than the 12-40, I would think twice about using this. If I did decide to use it, I would be cautious, as the small size and thin(ish) nylon cord of the connector does not instill confidence if you plan to carry a rig with any heft real to it. I connected it to my E-M1 first with the 12-40mm lens, then with the 40-150 (which my son Ryan grudgingly modeled for me). Both configurations are extremely light compared to their full frame equivalents (24-80mm and 80-300mm) and the thin nylon easily held the weight. But only when I had the smaller 12-40 on the camera did it feel completely secure. It has nothing to do of with the weight bearing prowess of the nylon, I have no doubt that the 25lb threshold is 100% accurate. It has everything to do with human nature. I simply wouldn’t trust this thin a strip of nylon to carry this much camera. Ryan with Nitz Wrist Strap holding the E-M1 with 40-150. Bottom line: If you own a point and shoot, a Leica or similar sized camera, or a small interchangeable system, this will work for you. I would steal away from it for larger systems. 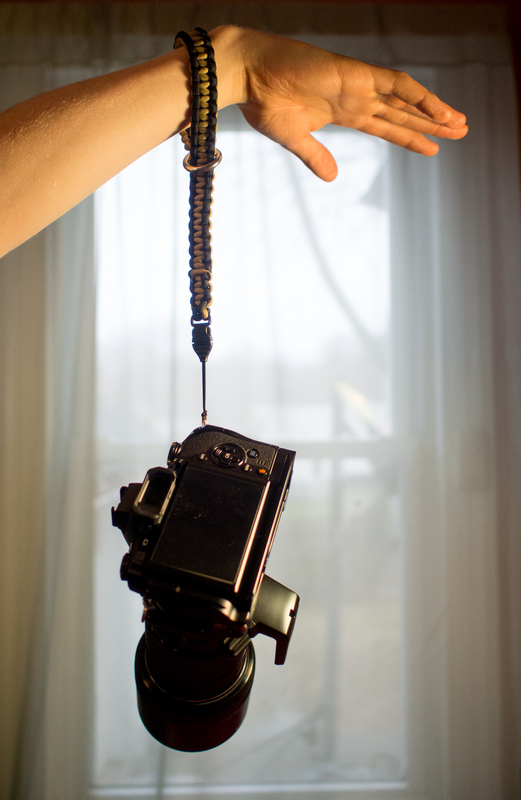 My beta copy of this wrist strap with this new connector will have a permanent home on my very light OM-D E-M5 with a small prime lens. 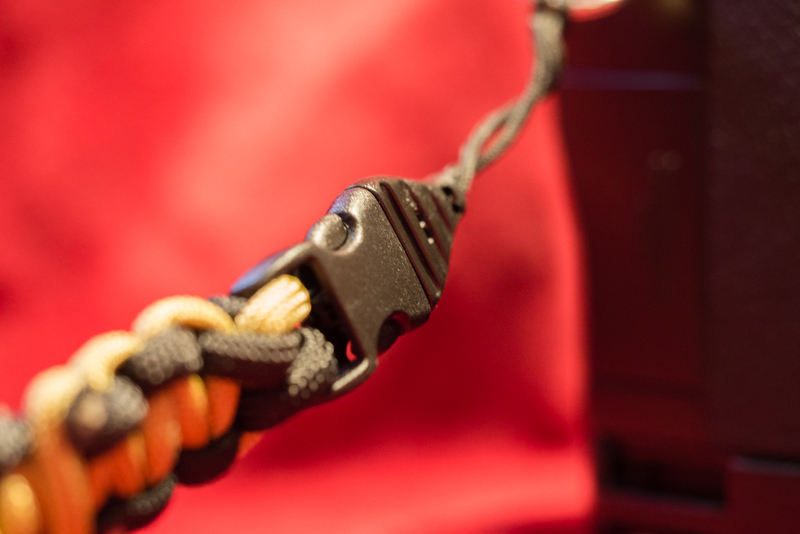 But until Chris finds a beefier snap-buckle and cord, I will stick with my current Nitz Neck Strap with the anchor shackle connectors for my workhorse E-M1. I am all in on the Nitz Strap thing. Chris Nitz offers a cool product with a multitude of design options. His approach to order fulfillment is personal in the most literal sense — he works one-on-one with the customer, hand crafting each camera strap to fit his or her personal aesthetic. Be sure to check out Chris’ work on his photography site and definitely visit NitzStrap.com to see what he has to offer.